Volunteering is a powerful tool to fight poverty. 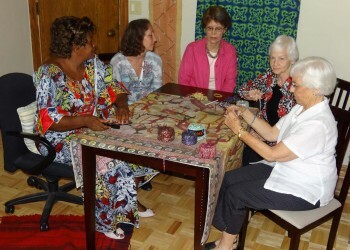 These Congo Mission Network volunteers are working hard for positive change. Ask a person, business or organization to donate a challenge grant toward building a school. Ask others to match it and send the funds to Build Congo Schools. Other churches and individuals matched the donation. In 9 months the school was funded. In 4 more months Zapo Zapo school was built. Shortly afterward, a new high school was added to the new building. Two more matching grants were given and matched, consequently two more schools were built. This funding strategy successfully built three schools which are now educating more than 4000 students. 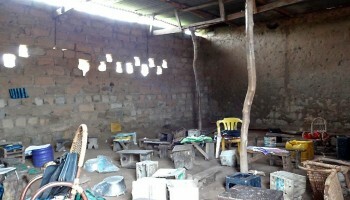 One of those schools, Mapata Mualabala School, is shown below — before and after construction. 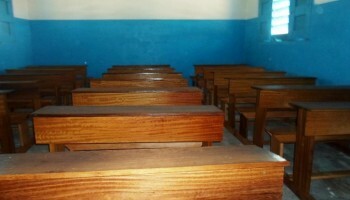 Form a Build Congo Schools Team at your school, church or organization. For information about how you can help, email sull1300@comcast.net. 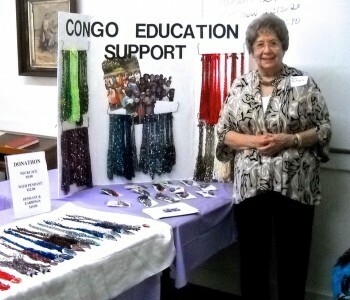 U.S. necklace teams are crocheting and selling necklaces to fund the building of schools in the Congo. You can form a team and raise funds too. 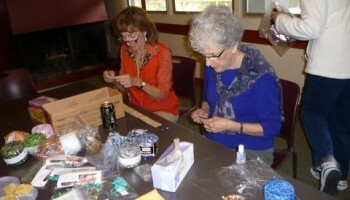 Join the necklace project and invite your friends and co-workers to buy necklaces for gifts. For information about forming a necklace team, email buildcongoschools.necklace@gmail.com.